INDUSTRY.co.id - Jayapura - The management of PT Garuda Indonesia (Persero) Jayapura Branch targets a revenue of Rp8 billion from the holding of Garuda Travel Fair (GATF) Phase II on 5-7 October 2018 at Jayapura Mall, Papua. He explained that the target was set because in GATF Phase I 2018, the revenue obtained was Rp. 7.8 billion. However, the current condition is different because there is no longer the Jayapura-Manado route, which in phase I was sold. "Supposedly with these conditions the target could go down to IDR 7 billion, but we see the year-end potential is quite good because we offer quite a lot of promos, we raise a little target," he said. 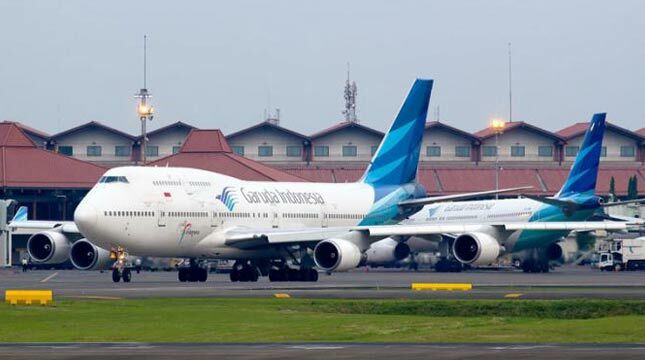 Mac Fee revealed that GATF will be the ninth time held by Garuda and Bank Mandiri which also provides various attractive offers for the community. He mentioned that with Bank Mandiri fiesta points, consumers can get discounts of up to 50 percent and use interest-free credit cards. "We hope that with the GATF momentum the Jayapura people can prepare their journey in advance and get a better price," he said.